It fans, breathe a sigh of relief. We won't have to wait 27 years for Pennywise to return to the silver screen. Per The Hollywood Reporter, New Line Cinema and Warner Bros. have announced that It: Chapter Two, the sequel to director Andy Muschietti's record-breaking horror hit, will release in theaters on September 6, 2019. It (now referred to as It: Chapter One) started an unprecedented box office run in early September, opening to sweeping critical acclaim and earning new accolades as the weeks passed by. The film currently holds the following records: the largest domestic debut for a horror film, the biggest opening for an R-rated movie, the largest release for a flick based on a book, the best preview night for a horror movie (pulling in $13.5 million), the most pre-sale tickets sold for a horror movie, the best IMAX opening for September and for a horror pic overall, and the best opening for a New Line-released feature. Beyond those glittering accomplishments, It smashed through a long-held record to become the top-grossing horror film of all time. The film out the 1973 classic The Exorcist, which made $233 million in North America and $441.3 million worldwide, with domestic earnings swelling to $917.5 million when adjusted for inflation. So far, It has pulled in $266.1 million domestically and $478.1 million across the globe (via Box Office Mojo). The terrifying take on Stephen King's revered novel of the same name reinvigorated the cinematic scene after a particularly rough summer, and introduced a new generation of moviegoers to the gory delights of the horror genre. THR also indicates that Gary Dauberman, a screenwriter on It, quietly closed a deal to write the screenplay for the sequel. Director Muschietti, who broke out with his spine-chilling film Mama, is waiting patiently in the wings to return to the helmer's seat. 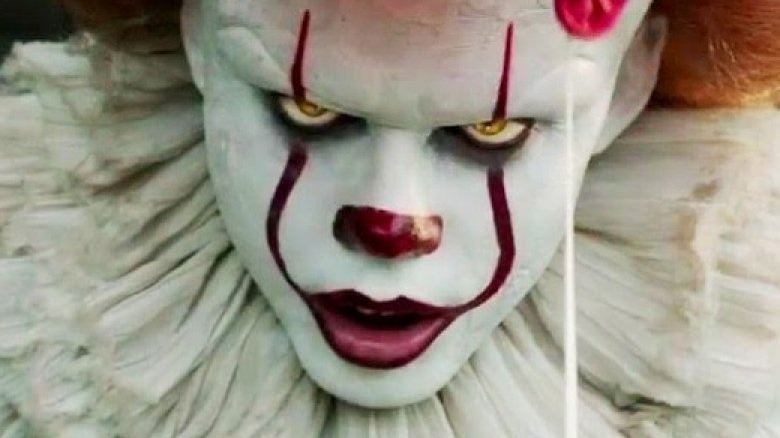 It producers Barbara Muschietti, Roy Lee, Dan Lin, Seth Grahame-Smith, and David Katzenberg are expected to hop on board the project as well. It: Chapter Two will tackle the second half of King's 1,000-plus page opus, and will be set in the present day (Chapter One took place in 1988 and 1989). It's set to feature the Losers' Club as adults who have joined forces once again, bound together by the blood-oath they took to fight Pennywise (Bill Skarsgard) when he resurrects again. Muschietti previously stated that the "dialogue between timelines will be more present" in the sequel. "If we're telling the story of adults, we are going to have flashbacks that take us back to the '80s and inform the story in the present day," he added. Finn Wolfhard, Sophia Lillis, Jaeden Lieberher, Wyatt Oleff, Jack Dylan Grazer, Chosen Jacobs, and Jeremy Ray Taylor star in the first film, and will be making prominent appearances in the sequel. At the time of writing, there hasn't been any word on which actors will play the adult versions of the Losers' Club, though we have a few ideas of who would be perfect for each character. While we wait for It: Chapter Two to make its way to cinemas, find out what you may not know about the upcoming sequel.